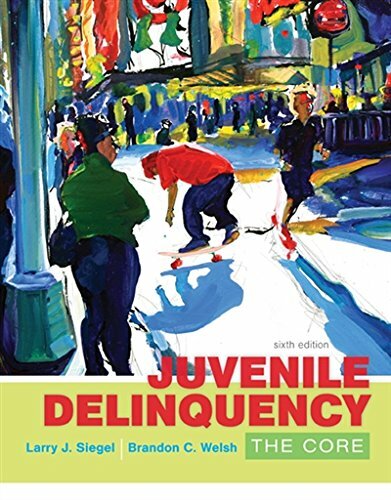 1305577418 -Succinct but thorough and cutting edge, Siegel and Welsh’s JUVENILE DELINQUENCY: THE CORE, 6th Edition presents theory, policy, relevant legal cases, and the latest research in a value-priced, student-friendly paperback. This brief text is acclaimed for its authority and balance as well as the authors’ ability to completely engage students in the juvenile delinquency course. In around 500 pages, Siegel and Welsh help students understand the nature of delinquency, its causes and correlates, and current strategies being used to control or eliminate its occurrence. What’s more, the MindTap online learning platform available with this text helps students practice and master techniques and key concepts while engaging them with video cases, career scenarios, and visual summaries.